Pairs of pear shaped diamonds ornament the center of this 14K white gold antique style wedding band. 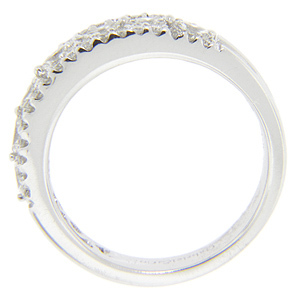 Rows of round diamonds frame the central pattern. 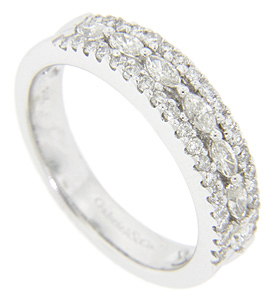 The wedding ring holds a total of .55 carats of diamonds and measures 4.8mm in width. Size: 6 1/2. We can resize.